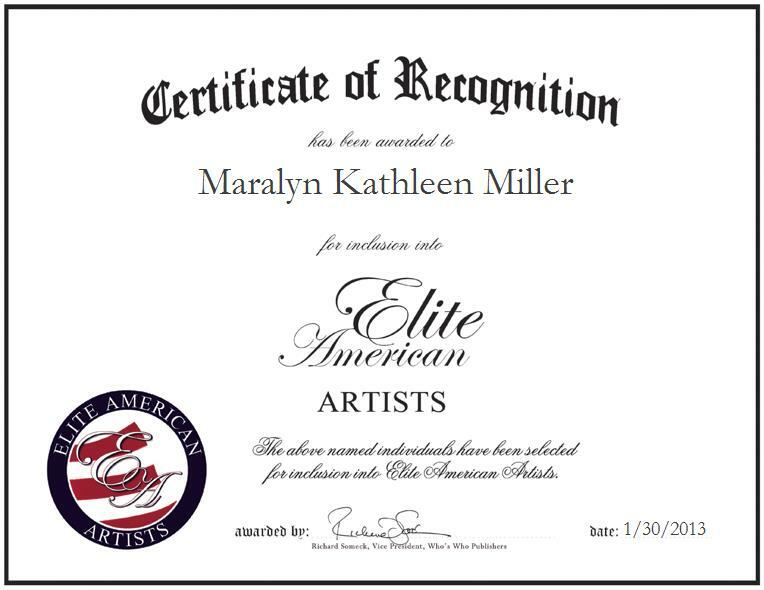 Maralyn Kathleen Miller is an Artist whose works can be found at the Maralyn Miller Studio. With more than 43 years of professional experience that has continued to blossom over the course of a successful career in the fine arts, Ms. Miller, an award-winning artist, has made a name for herself by demonstrating perseverance, an ability to observe and absorb all aspects of art, and a passion for what she does. She specializes in northern California landscape painting, and advertises, markets, and paints landscapes using oil paints and pastels. Ms. Miller is a member of the Los Gatos Art Association, Oil Painters of America, and the National League of American Pen Women.